While our blog roll will keep you up to date on parking news, you might find yourself in need of basic or background information. Whether you need to understand parking regulations (What are the specific rules about fire lanes? What about handicapped parking rules? 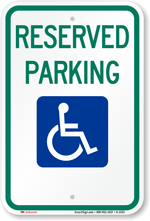 ), the nuts and bolts of parking signs (How do I make my signs most effective? How do I install them?) or parking terminology (What exactly are standing or loading zones? What is an engineer-grade sign? ), you’ll find a wealth of parking related information below. If you’re interested in the industry, be sure to listen to our parking expert podcasts and brush up on parking sign history, too. Paying for a parking meter with a cell phone is pretty clever and handy. Listen to or read Chris Hoogewerff’s answers to many of your questions regarding mobile payment and market and competition for this industry. Hoogewerff is an entrepreneur and Product Manager for QuickPay Corp, a mobile payment company. What’s the difference between No Standing, No Parking, and No Stopping? In this short informative piece, learn exactly what differentiates them, and the rationale behind posting these signs. As you may know, bus and fire lanes are extremely important when it comes to the safety of children from fire. Read about the significance of signs when it comes to freeing fire lanes and signaling safe distances from school buses. What are loading and unloading zones really used for and why can’t we park there? This informative article defines these terms and explains their purposes. This article gives an overview of the concept of bailment, which addresses who is liable for damage that a vehicle incurs while it is in a parking lot. Did you know that stop signs used to be yellow? Learn about the standardization of the stop sign and different stop signs around the world in this popular article. Everyone recognizes the ADA’s symbol of accessibility (ISA) but how did the wheelchair pictogram come to be? How has the science of reflection been used to make driving safer? Learn about pivotal discovery of reflective road signs and markers, and how it has permanently changed the landscape of safety. This illustrated article addresses the history and evolution of parking signs. How have they evolved and why? Globetrotters often need a quick reference for differences between countries’ driving standards. In this article, review the history of license plates, and learn to identify their key variations. This guide gives clear explanations on how to install sign posts in a safe and compliant way. From having a reflective sign to complying with state and local rules, this eight-step guide walks you through the key ways of creating effective Tow Away signs. Heavy duty aluminium and rounded corners are just two of several important qualities needed in creating a great parking sign. Learn more with this illustrated and informative guide. Why Is a Secure Parking Lot Important? Tragically, parking lots and garages are a common setting for crime. This resource addresses vulnerable aspects of parking structures, and summarizes preventative measures. Parking Signs – What’s Your Philosophy? 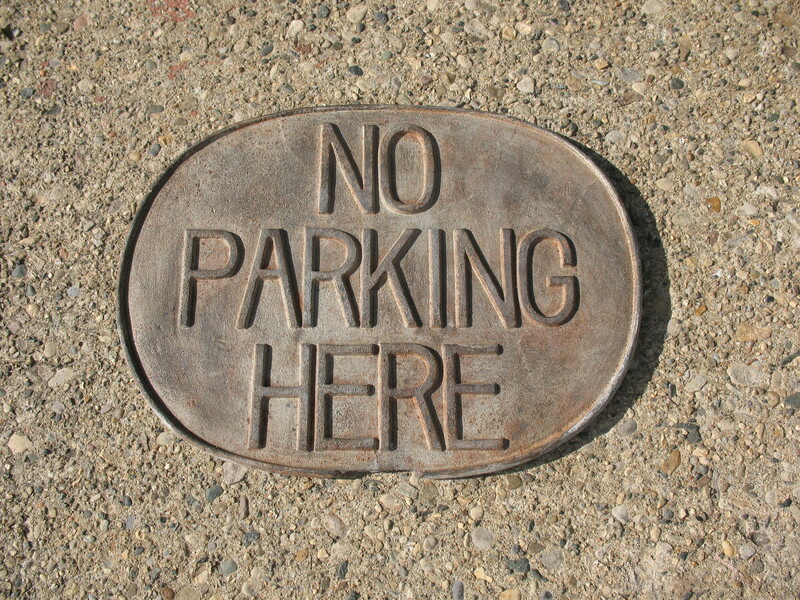 The choice of how you convey your No Parking Message is a touchstone to your management style. How many parking spaces are needed for your parking lot? Buckle Up Signs Save the Day! Buy best pricing Stop Signs, metal parking signs, sign posts and many more parking sign accessories at unbeatable prices! Use Big Stop Sign or A Giant Stop Sign to Increase your Stop Sign Visibility. Reflective parking signs & stop signs are clearly visible from a distance. We provide variety of small stop signs, big stop signs and even custom stop signs that work with All Vehicle Types. 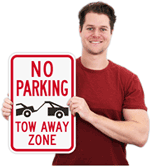 Get Durable Parking Signs and Stop Signs: Buy Stop Signs from My Parking Sign. Learn from our parking sign experts about the proper installation of your parking stop signs using the right parking sign bases, post reflectors and sign mounting posts. Fact or Fiction … a Yellow Stop Sign? Stop Signs in Yellow Color: Custom Stop Signs & Stop Sign Ahead Signs. Learn about parking stop sign color schemes. Buy stop signs like Spanish stop signs or legal stop signs from my parking sign at pocket favoring prices. Download sign lesson plans and sign cards for free. Made to Common Core K.5a standards for kindergarten. Easy way to learn about safety and signs. Take a look at the overview of the parking sign business. Find out what drives the parking signs market. What did the the parking signs from the 20’s have in common with today’s signs? Trace the history of No Parking and Reserved Parking Signs. 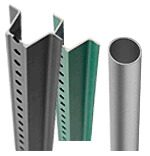 Find out the Seal Belts usage statistics in the United States. Learn about state wise laws and regulations for seat belt safety. Comparing and contrasting towing signs with friendly and firm messages. We are web’s Leading Source of Stop Signs, Custom Parking Sign & Parking lot Signs. Buy stop signs from stock or order custom stop signs now to avail fastest delivery & best pricing.